Mutual Industries’s high-quality #18 twine is made from 100% filament nylon that is resistant to abrasion, rot, mildew, marine growth, petroleum, and chemicals. 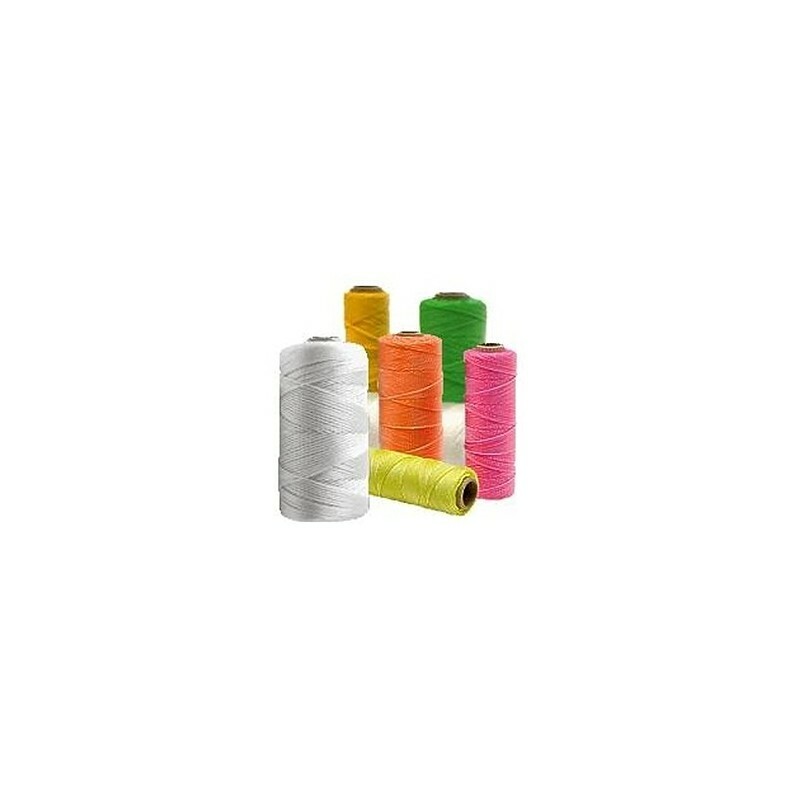 This nylon line is ideal for masonry, chalk line, duck decoy line, net repair, and many other general uses. Available in Twisted or Braided, Glo-Lime, Glo-Orange, Glo-Pink, Glo-Yellow, Green, White, and Yellow. All orders must be in increments of 48.